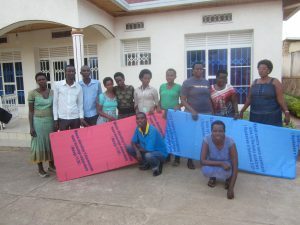 One of the projects that our Rwandan partner GNPDR runs is called ‘Mercy Mattresses’ and it is a beautiful example of peace and reconciliation being carried out in a very practical way. 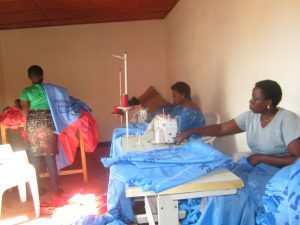 The mattresses are made by Rwandans who suffered badly in the genocide, are still working through the process of forgiveness and reconciliation, and due to the trauma they’ve been through have not been able to hold down work for many years. 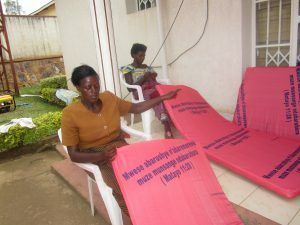 The mattresses they make are for prisoners – many of whom were perpetrators of the Rwandan genocide crimes in 1994. So the mattresses are made as part of a process of letting go of the past, feeling valued and proud of personal achievement, and using the opportunity to give to others as a way to help the healing take place. 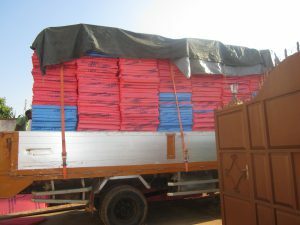 And for the prisoners – they get a mattress to sleep on where before they had nothing, they have the knowledge that someone cares enough to make that mattress, and printed on the mattress is a Bible verse of hope, so that they get a spiritual lift as well.